You plug your headphones into your laptop, and it says that there are no headphones plugged in. You then try different headphones and receive the exact same result. Then you try these headphones with other devices, and they work perfectly with the other devices. How can you use headphones with your laptop? This is frustrating. But don’t worry, all you need to do is try the fixes below. 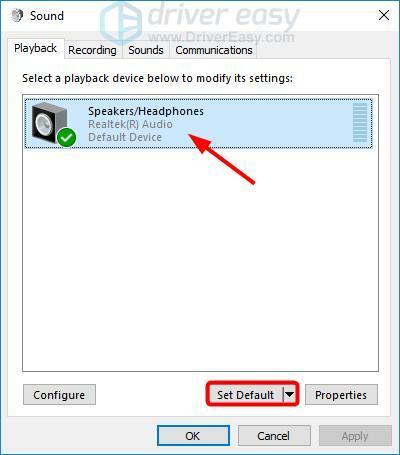 Here are 4 fixes that have helped many other users get their laptop detecting their headphones. You may not have to try all of these fixes; just work your way down the list until you find the one that works for you. Make sure your headphones are properly connected to your laptop. 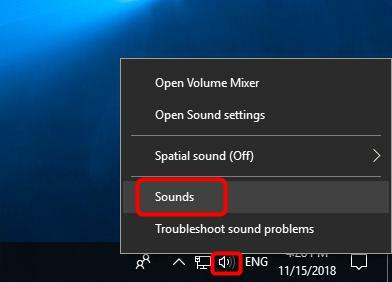 Right-click the volume icon on the bottom left of your screen, and select Sounds. 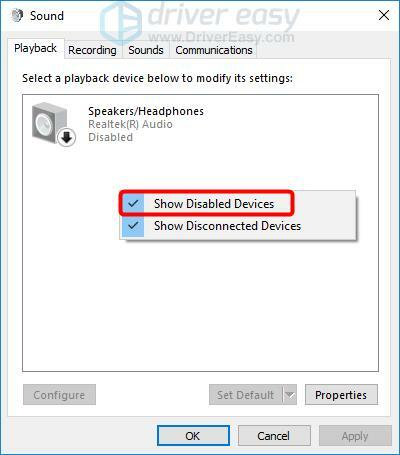 If your headphones don’t show up as a listed device, right-click on the empty area and make sure Show Disabled Devices has a check mark on it. If your headphones are disabled, it will now show up in the list. Right-click on your headphones and select Enable. If your headphones aren’t your default device, click on your headphones, then click the Set Default button at the lower right. Check if the problem is resolved. If not, try Fix 2, below. 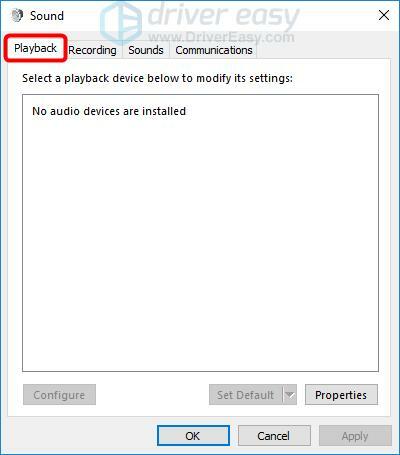 A missing or an outdated audio driver may also cause your laptop not to detect your headphones. So you should make sure your audio driver is up-to-date. 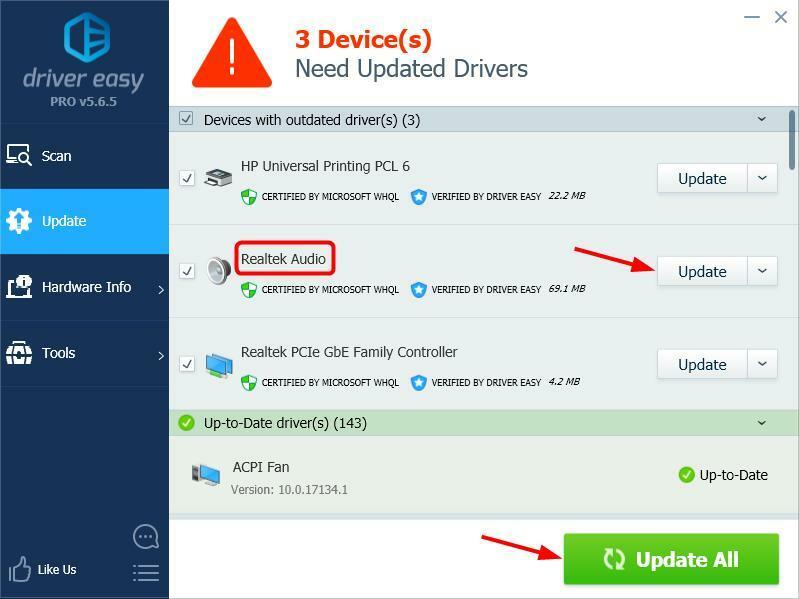 Update your audio driver automatically — If you don’t have the time, patience or computer skills to update your audio driver manually, you can, instead, do it automatically with Driver Easy. 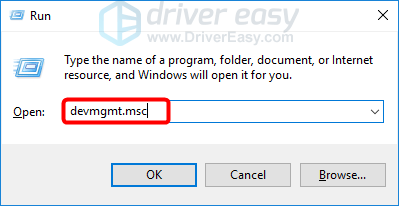 You don’t need to know exactly what system your computer is running, you don’t need to be troubled by the wrong driver you would be downloading, and you don’t need to worry about making a mistake when installing. Driver Easy handles it all. 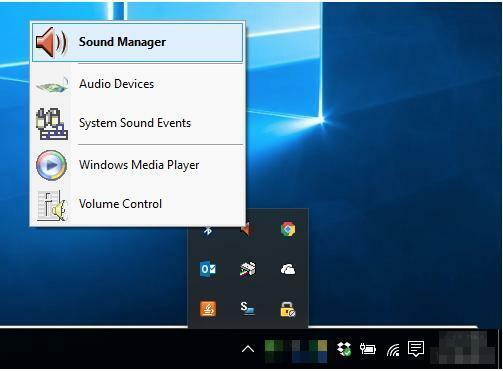 Restart your computer and check if your laptop is now able to detect your headphones. 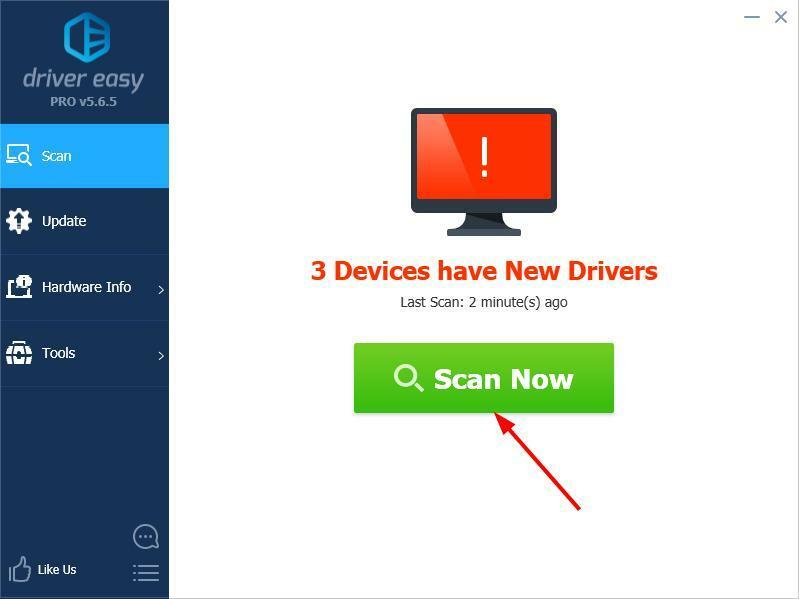 If not, contact Driver Easy’s support team at support@drivereasy.com for further assistance. They’d be happy to help you. Or you can move on to Fix 3, below. 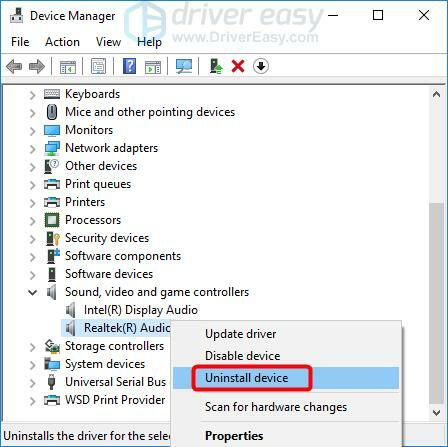 If your problem is caused by an audio driver, you can also try uninstalling your audio driver via Device Manager, then restart your laptop, and Windows will reinstall a driver for your audio device. Press the Windows logo key and R at the same time to open the Run box. 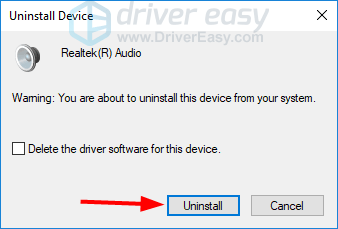 Right-click on your audio device, and select Uninstall device. 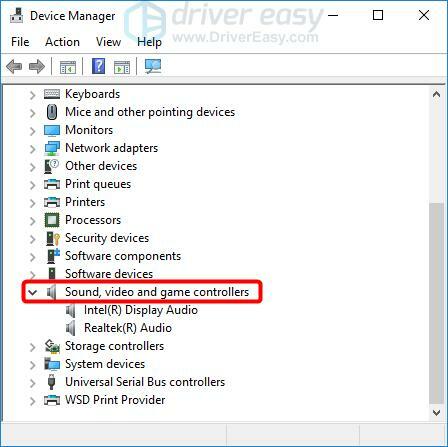 Restart your computer, and Windows will automatically install a new audio driver. 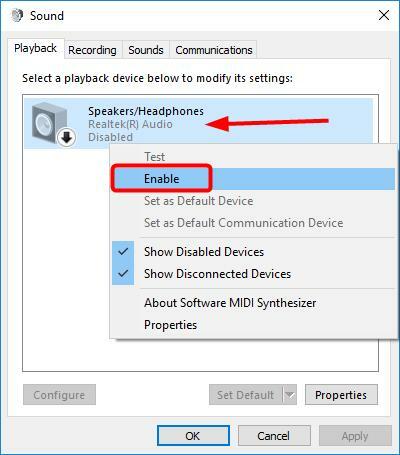 Check if your laptop can now detect your headphones. 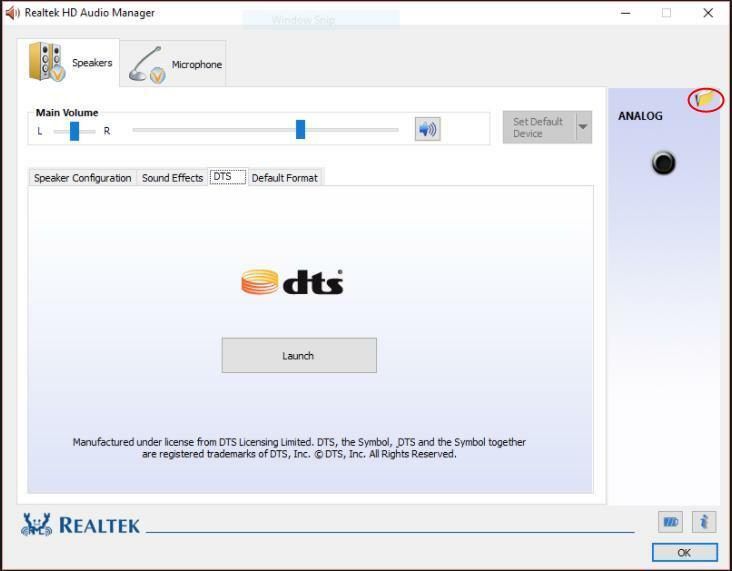 Right-click the Realtek HD Audio Manager icon in the system tray, and select Sound Manager. Click the little folder in the upper right corner. Check the box beside Disable front panel jack detection.